Fiverr.com - How it Can Help You! 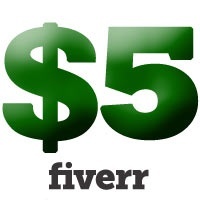 Fiverr.com is a global online marketplace offering tasks and services, referred to as 'gigs' beginning at a cost of $5 per job performed, from which it gets its name. The site is primarily used by freelancers who use Fiverr to offer a variety of different services, and by customers to buy those services. QLF Incorporated recently uploaded a 5 minute "Fiverr Introduction" video via Film Annex. The video can be found by clicking here and following the link. Please subscribe to QLF Incorporated's Film Annex profile page if you enjoy the video or are interested in learning more about QLF Incorporated & Bitconfused.org. Fiverr.com is Great for Marketing! On the Fiverr website, users can post or purchase $5 gigs, ranging from variety of different topics and categories. For example - A business owner could use Fiverr to find someone who creates logos as their gig. The business owner then purchases the gig, provides the seller with some basic information for the desired logo and waits for the estimated delivery date - which varies depending on the seller and gig. Fiverr.com is also great for unique and personalized gifts and messages. A few example gigs are as follows: Video Testimonial for your business, product or message, Voice Enhanced personalized message, singer/songwriters and musicians who will write and record a song specifically for you or an individual of your choice, and literally hundreds of people who do personalized arts and crafts. If you want a puppet to sing happy birthday to your grandmother this year on that special day, then Fiverr.com is the perfect website and tool for you! Not only is Fiverr.com similar to Film Annex in the way that it empowers its users with a financial reward, but Fiverr also chooses to accept Bitcoin as a form of payment. Most gigs are only $5 and this is one of the reasons that Fiverr chooses to take advantage of Bitcoin - as a micropayment and as an easily exchangeable, globally-distributed digital currency. Fiverr provides the option to pay with a Coinbase account or QR Code via the BlockChain, further simplifying the payment process. Fiverr's decision to accept Bitcoin as a form of payment was a phenomenal business decision. Bitcoin enables micropayments and simplifies the process of paying individuals internationally, eliminating the need of currency conversion and bank processing/transaction fees. 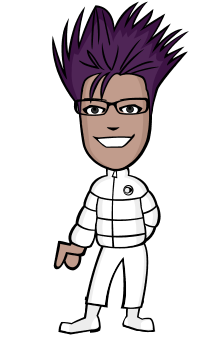 Have any Gigs for Fiverr? If you're a creative person and have a talent or service that you think people will be willing to spend $5 for, then you should create an account with Fiverr and post your gig for free! Just like the "Buzz Score" on Film Annex, Fiverr will rate you based upon the number of gigs you do, and rank you based on the customer rating/feedback that you receive from your Buyers. There are 3 levels of Sellers on Fiverr - Level 1, Level 2 and Top Rated. Each level offers a different incentive and opportunity for Sellers on Fiverr. Level 1 is the most basic level, enabling access to additional tools that will help you generate a faster income. Level 2 is slightly more advanced, offering even more useful sales tools, as well as top priority response for support inquiries. Top Rated Sellers are the prestigious Sellers in the Fiverr community. These Sellers are personally selected by the editors and moderators on Fiverr.com, and have access to incredible features - such as early beta features and exclusive V.I.P. support for any questions, suggestions or comments. Want to read more awesome articles that are jam packed with helpful information? Please subscribe to QLF Incorporated's Film Annex profile page as well as content creator Steven Carpenter's Film Annex profile page! Learn more about QLF Incorporated, Bitconfused.org, Bitcoin and Digital Philanthropy by visiting our free online learning portal at www.bitconfused.org! Thank you from QLF Incorporated! The Quantum Leap Foundation Incorporated is a nonprofit organization innovating digital incentives to promote the welfare of people and planet collectively. We focus our efforts primarily in Africa and other developing nations that are facing challenges such as: Poverty, Lack of Education, Economic Inequality, and Disease. I registered on Fiverr but haven't created a gig. I find it difficult on mobile. Thank you very much @abdulrahmanelahe!